Durston on the set of IDYB, c. 1969-70. He’d have been 92 today. He directed several films, but is most known for I Drink Your Blood. I profiled his film career several months back, as my debut post in my still ongoing project to dig into the careers of the film’s cast. Durston died in 2010 at the age of 88, here’s his obit from the NYT and here’s a nice post/gallery by Stephen Thrower, another blogger and author with a serious interest in the man, the source of this photo. 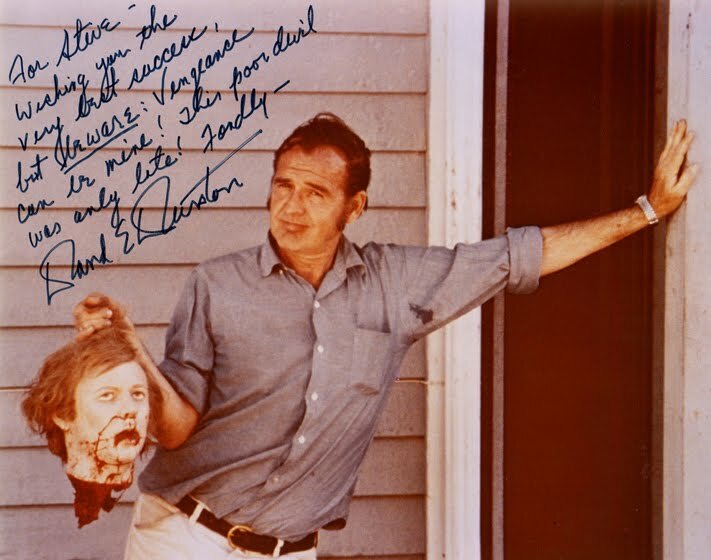 Posted in 1970Tagged David Durston, I Drink Your Blood (1970), New York Times, Stephen ThrowerBookmark the permalink.